How does the recent cognition of the immense quantitative shift in the biophysical conditions of the Earth affect both scientific research and a political response to these changes? Does the Anthropocene also pose a profound qualitative shift, a paradigm shift for the ways in which science, politics, and law advance accordingly? The Anthropocene Working Group (AWG) is an interdisciplinary body of scientists and humanists working under the umbrella of the International Commission on Stratigraphy and tasked with developing a proposal for the formal ratification of the Anthropocene as an official unit amending the Geological Time Scale. 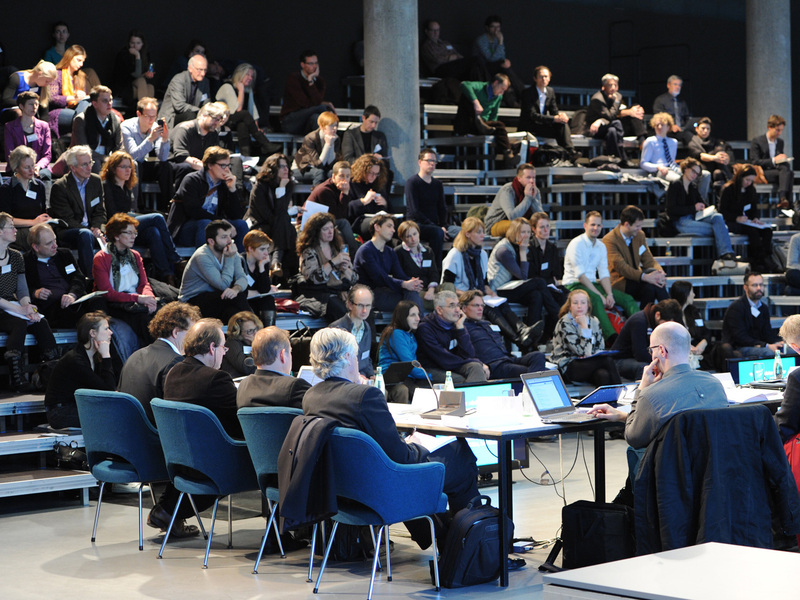 On occasion of its very first meeting, the AWG together with HKW convene a socio- and science-political forum, bringing together scientific experts, political stakeholders, media outlets, and an interested public. The forum presents insights into current scientific findings in defining a global impact of human activities and debates the far-reaching implications of the Anthropocene hypothesis for science and society alike. The debate about the determination of an official onset of the Anthropocene not only involves knowledge about past and present environmental changes but also entails general considerations of the intricate dependencies between cultural, juridical, technological, and political questions. In fact, amending the geological time scale with a formal unit that bears the name of “humankind” exacts a morethan-technical debate on geoscientific evidence that goes significantly beyond the confines of traditional stratigraphic practices. When geohistory enters human history, a qualitative modification in the basic definition of both seems expedient. Based on a series of short presentations by members of the AWG and further input statements by invited speakers from the humanities, the social sciences, and political fields, the forum discusses both the extraordinary changes to the Earth system as well as its conse-quences in setting new agendas for governing, researching, and disseminating crucial knowledge. Introduction, Cases I and II, Consequences – for the detailed program click here.